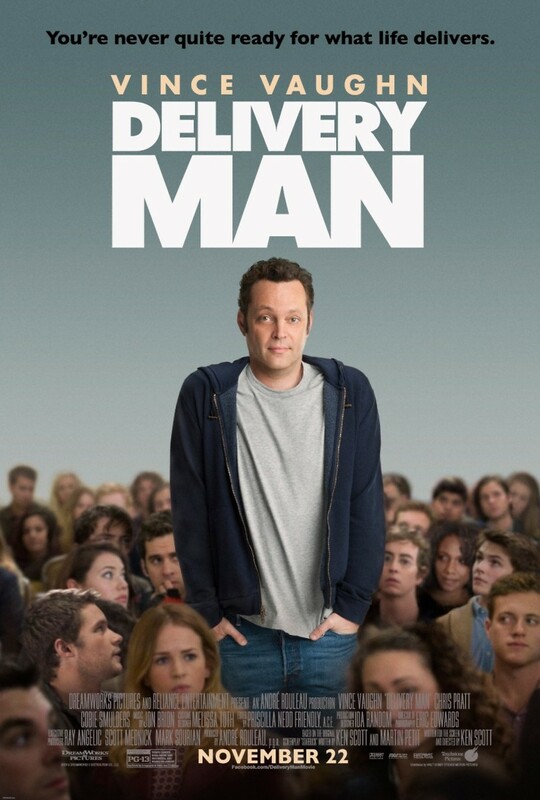 Delivery Man DVD and Blu-ray release date was set for March 25, 2014. David is a likable slacker who has never done much with his life. He is content to spend most of his time just hanging out with his friend Brett, watching TV and shooting the breeze. He doesn't want anything remarkable to happen to him, and he doesn't expect it to. One day, however, his life takes a startling turn. David donated a large number of sperm to a sperm bank two decades ago. He had long forgotten about it, but it comes back to haunt him when he finds out that he is the biological father of more than 500 children. About a quarter of his offspring have decided to band together and sue their father if they can just figure out who he is.